Fit2Go4It will come to you and train you right in the comfort and privacy of your own home. Personal Training Programs are designed to get you in shape. We will take the thinking out of your Fitness Routine and show you exactly what exercises to do and how to do them. Your Fitness Program will be created for you, your goals and your unique needs. Whether you are in good shape or totally out of shape, we can help you meet the challenge of getting more out of yourself and your workouts. We can also design a Gym or Workout Room that will make a great addition to your living space. How many times do I need to meet with a trainer? That is entirely up to you and depends on the amount of time you have and how committed you are. 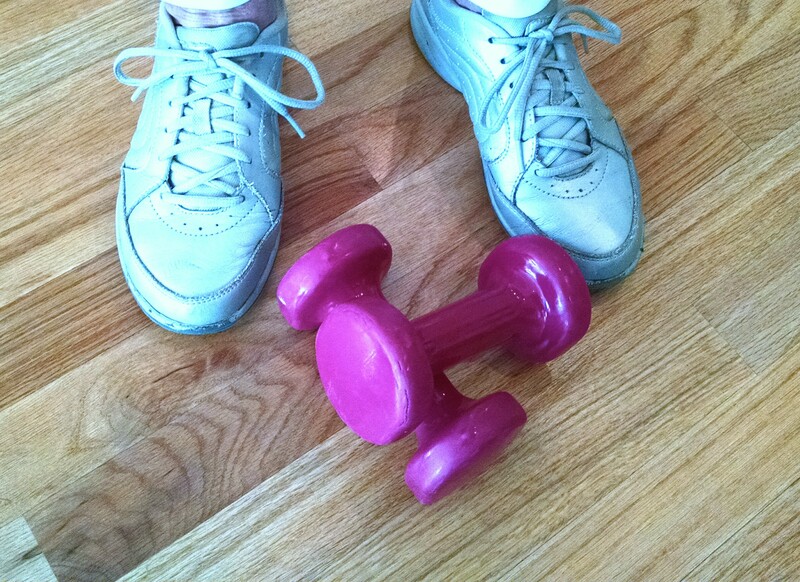 Depending on you fitness level, I usually recommend starting with 2 times per week. This does not mean you only workout twice per week. I recommend that you workout on your own an additional 1 to 2 times per week. How much weight will I lose? Do you guarantee my success if I become a client? First of all, I need to say there is a difference between losing weight on the scale and losing bodyfat. Our whole goal as trainers is to help our clients increase or retain as much lean mass (the good weight that burns fat) as possible and lose the bad weight (the stuff that causes health issues) as much as possible. But, the answer is, that it is truly up to you. And, I cannot guarantee “success” because success in this industry is so subjective. What I can say, is the clients who are the most successful at losing bodyfat eat a regular diet of whole, unprocessed foods. Not low-carb or low-fat, but unprocessed and prepared ahead of time. They usually meet with a trainer 2-3 sessions per week, and exercise on their own time 2-3 times per week. They tend to have realistic goals and do not “diet” at all, but make small changes per week, until they are eating better. I have no gym equipment. 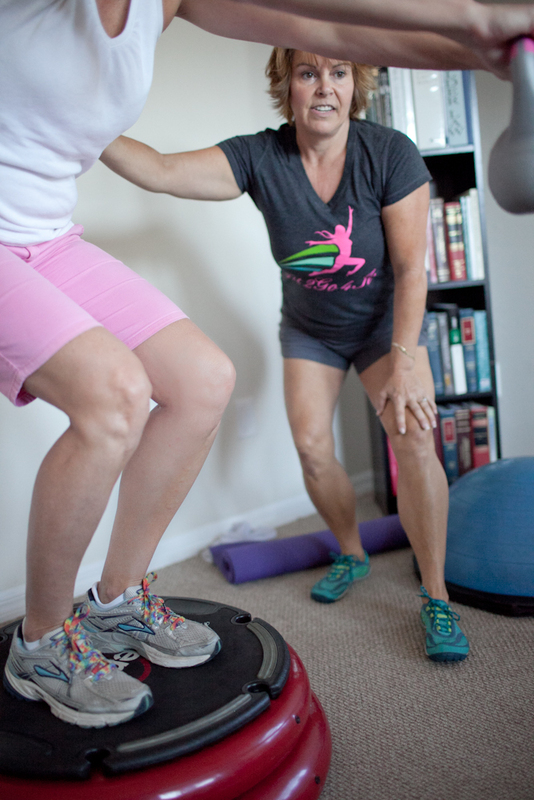 Fit2Go4It has all of the necessary equipment to give you a great workout, right in your home. We have a variety of equipment including: resistance bands, dumbbells, medicine balls, BOSU, kettlebells and last but not least we utilize your own body weight. Whether your goal is to achieve weight loss, increase stamina or to get tone, you can achieve that with a ton of hard work and dedication. But why go it alone? Many people are often unable to keep their goal of weight loss due to lack of guidance and motivation. Training with a personal trainer can be less confusing and intimidating as compared to working out on your own. A personal trainer can help you strike the right balance of maintaining a workout routine which suits your needs. Furthermore, a personal trainer provides education about resistance training, basic nutrition, and other beneficial health/fitness information and provides much needed motivation. Can a training session be split between 2 or more people? Yes! Group training rates are available. 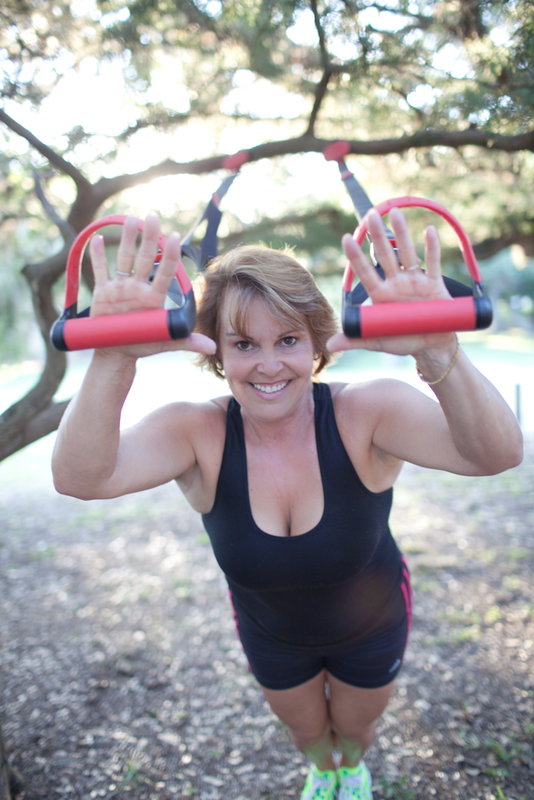 Has Vickie helped you with personal training services? Vicki has made excersing fun again! She is always upbeat, funny & just so pleasant! She also is extremely knowledgeable. I look forward to her class and try to never miss one. So glad we have her! Vickie Melton has been my personal trainer for 7 and 1/2 years. She was fabulous. Her abilities in helping me deal with my problems helped me get through life. I am very, very sad that she moved, or I would be having her for another 7 1/2 years. In addition to the classes I also have Vickie as a personal trainer. She was able to devise a workout for me that I could take on the road with a minimum of equipment. Her instructions were easy to follow and again was a complete workout. Our club has just gotten all new equipment and Vickie has developed a workout plan for me using the new equipment. She made it fun and took the mystery out of how to make the equipment work for me. Her enthusiasm is contagious. After my recent knee operation, her [Vickie's] services are especially welcome. During the reconstruction of the fitness center Vickie comes three times a week to our house to give Eileen a relaxing neck massage and helps with my rehabilitation. She stretches my old limbs so I can walk upright and straight during the years I am still lucky to live. I am 67 years old and have included some sort of exercise in my life forever; but never before have I felt I was in such capable hands! Your expertise is spot on, but never critical, only helpful. You make exercise fun! Our class grew immediately when you cam on board and is still growing all because of you. God bless you!